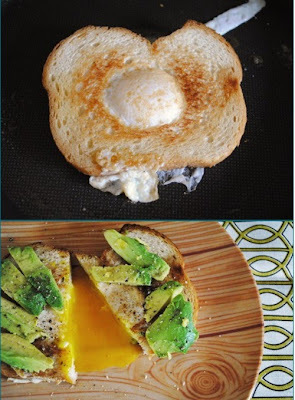 Egg on toast topped with avocado. Looks like the perfect snow day food to me. I love egg on toast. This is making me hungry! Love avocado's! !